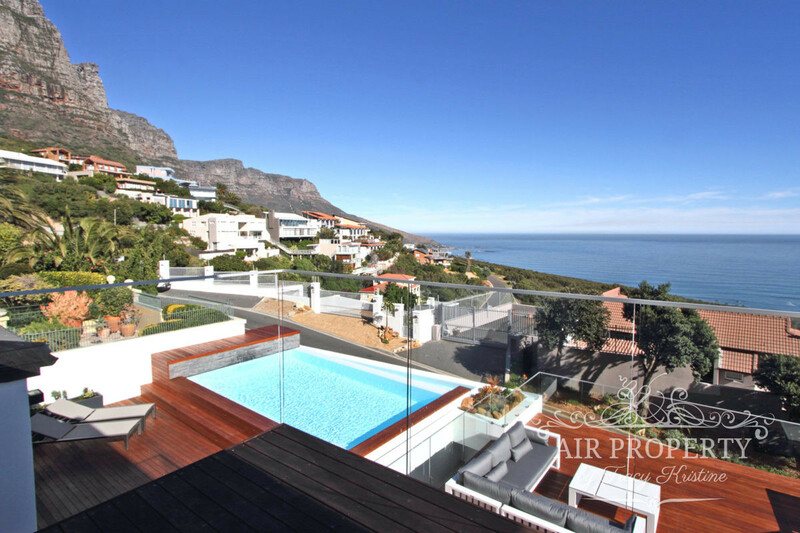 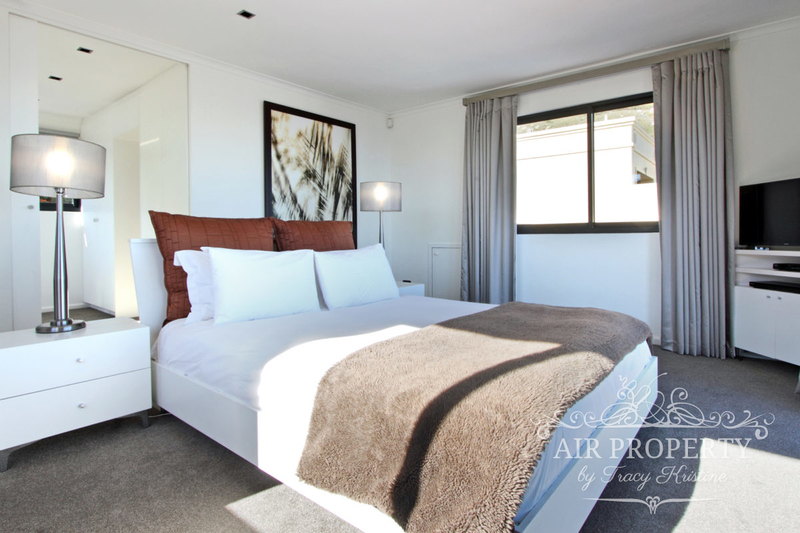 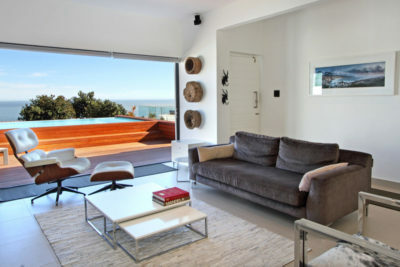 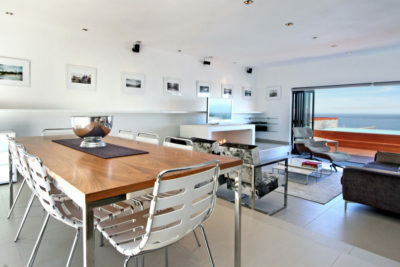 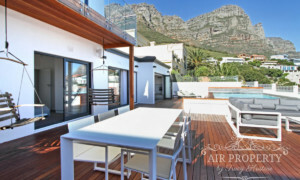 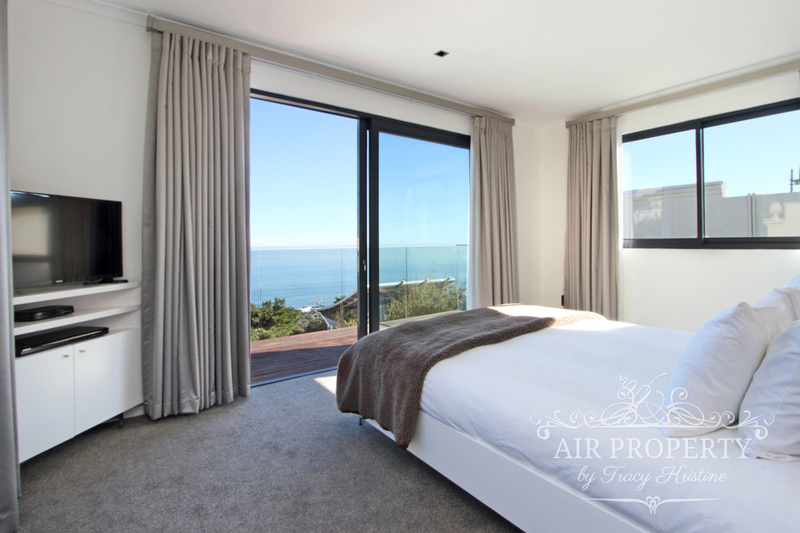 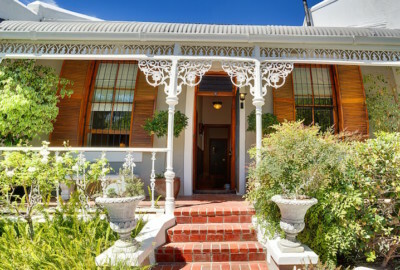 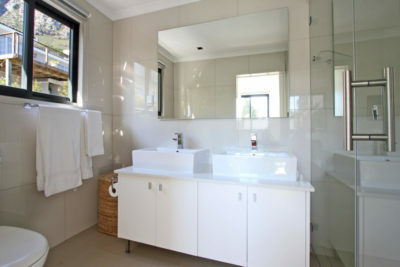 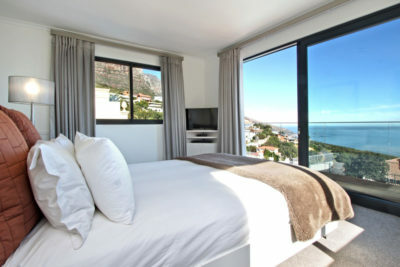 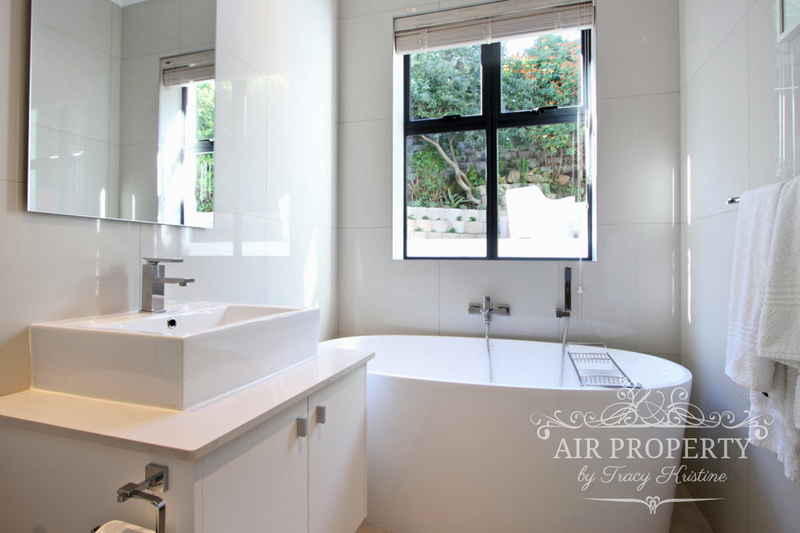 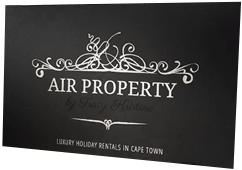 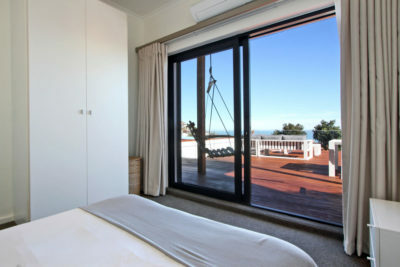 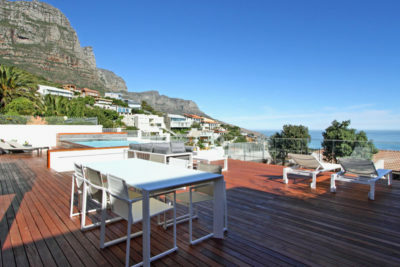 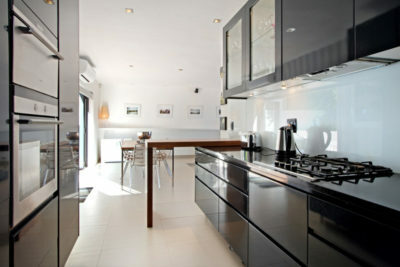 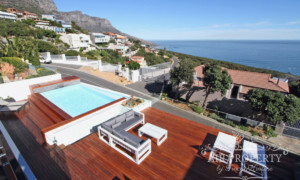 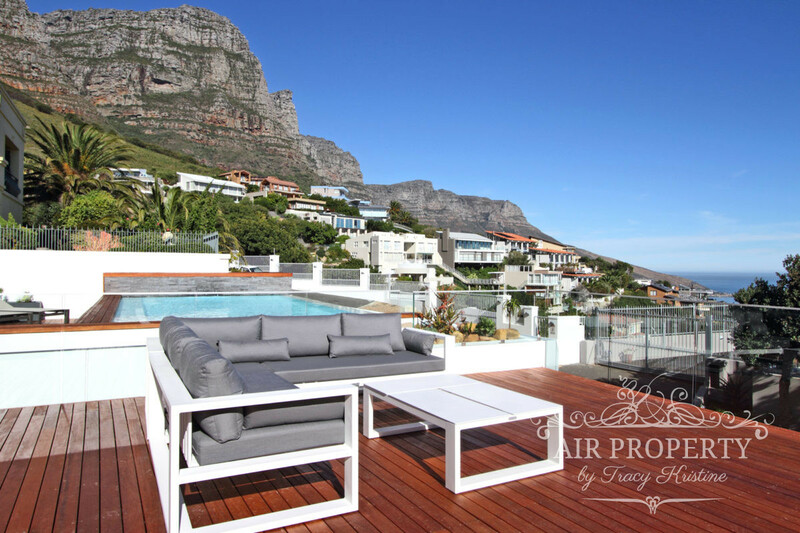 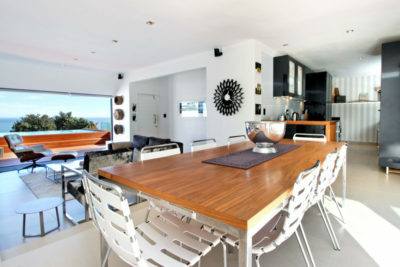 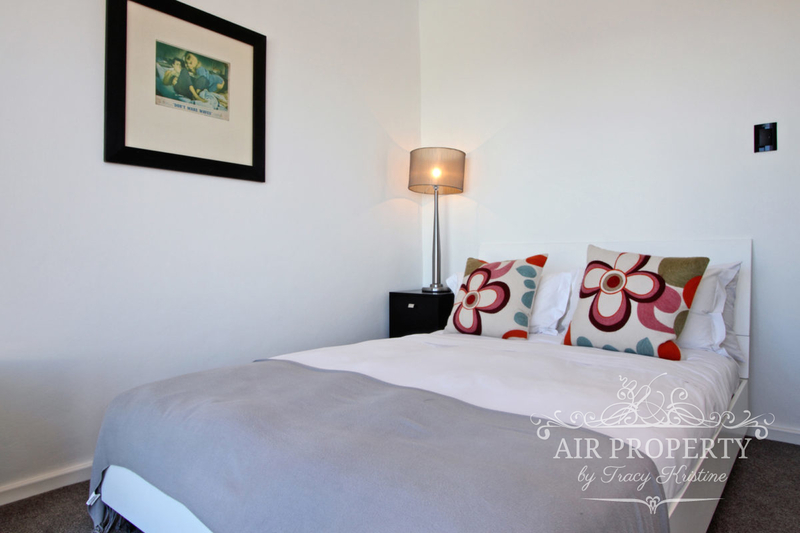 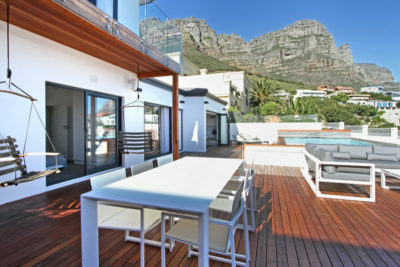 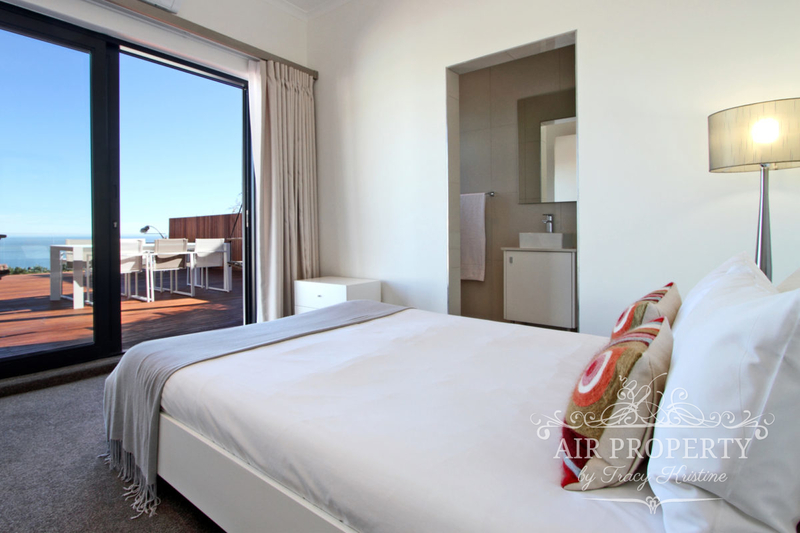 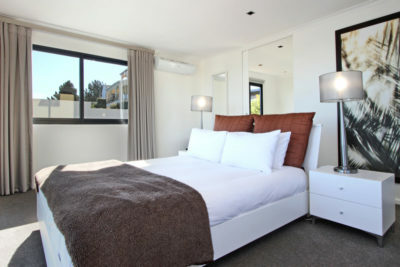 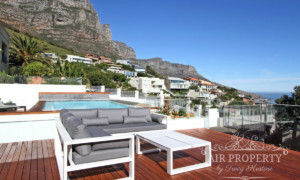 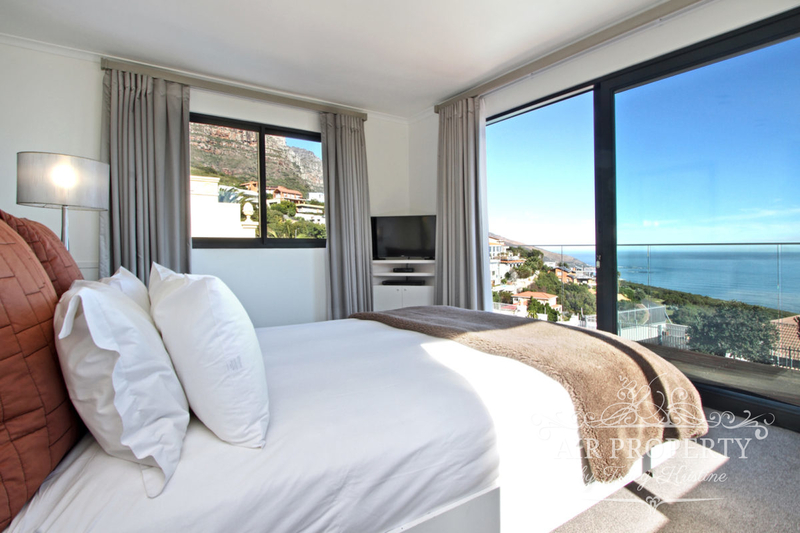 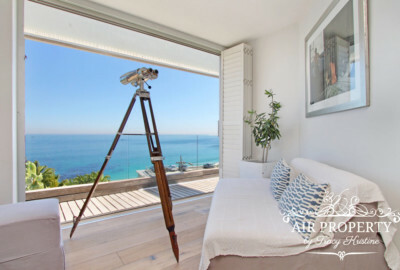 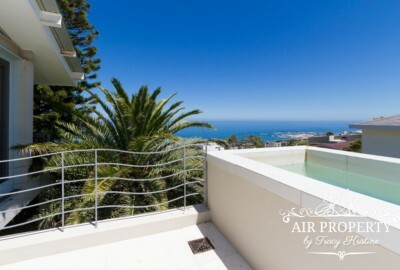 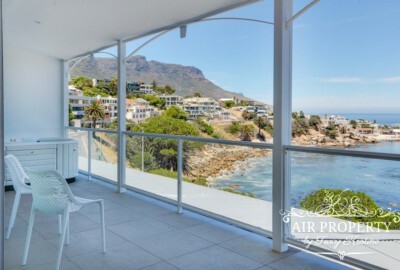 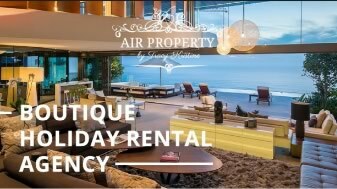 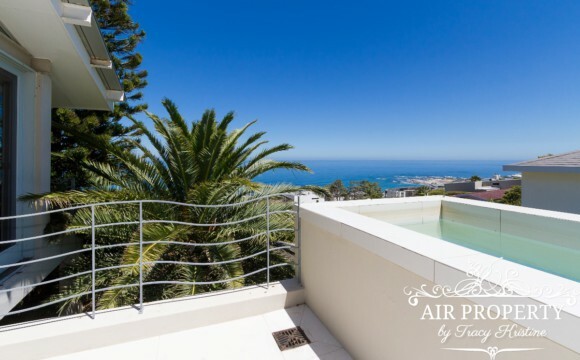 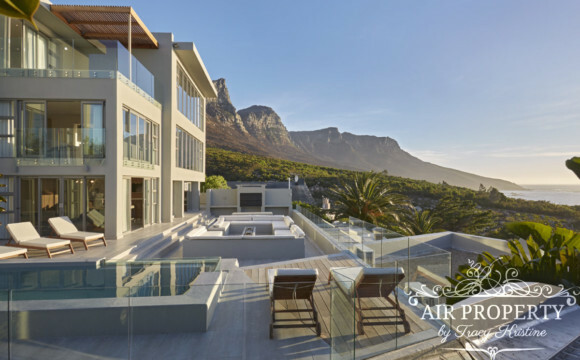 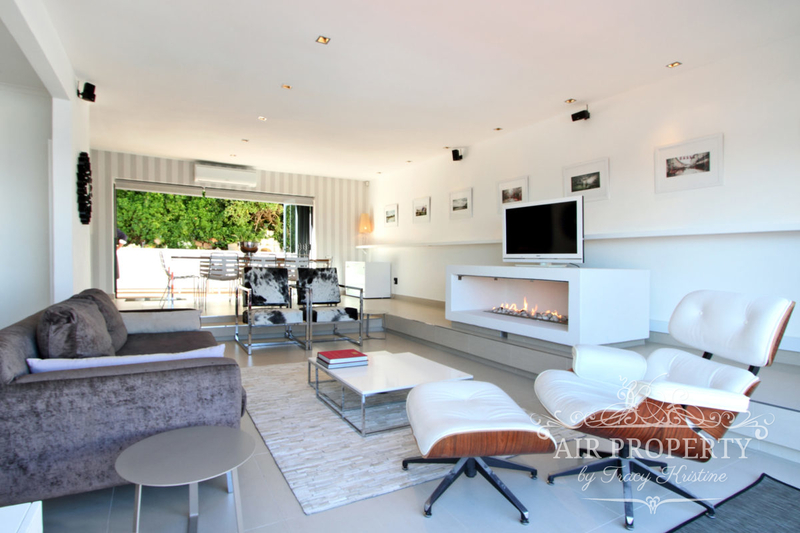 White Crown is a modern and newly furnished villa located in a quiet street in the exclusive suburb of Camps Bay. 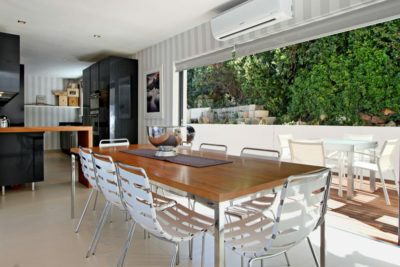 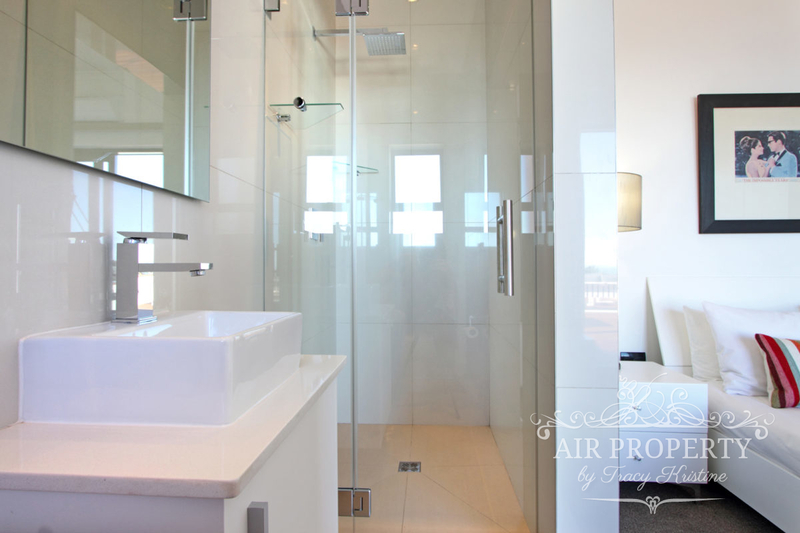 Decorated throughout with chrome and modern finishes it is sleek and contemporary in style. 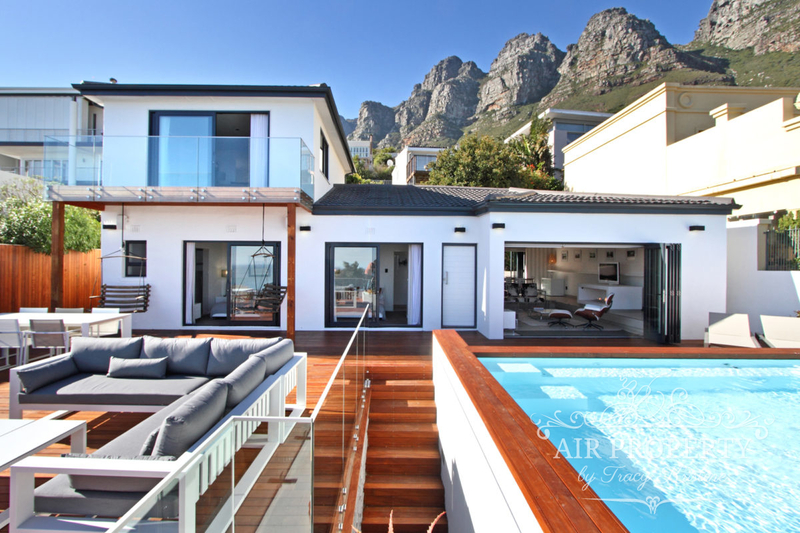 The villa is split on two levels. 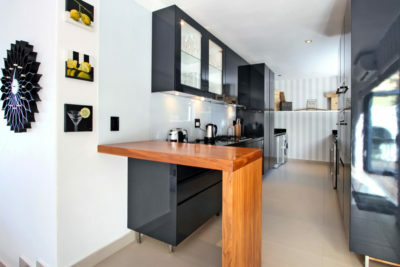 On entering the villa you are greeted with the open plan lounge, dining and kitchen areas. 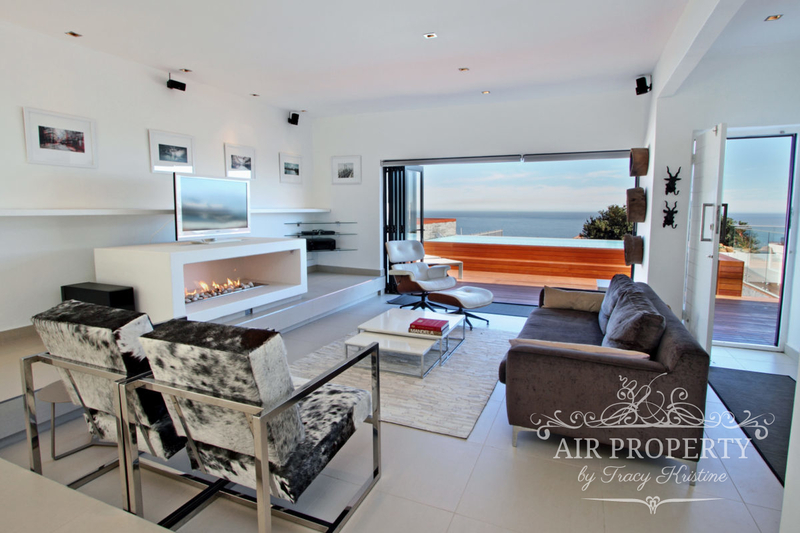 The lounge has a lovely large plasma TV and a pebble fireplace makes it an ideal space for those cold winter nights. 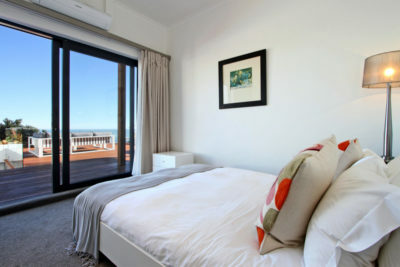 All three bedrooms are sea-facing. Two bedrooms are located downstairs and the master bedroom is located on the upper level. 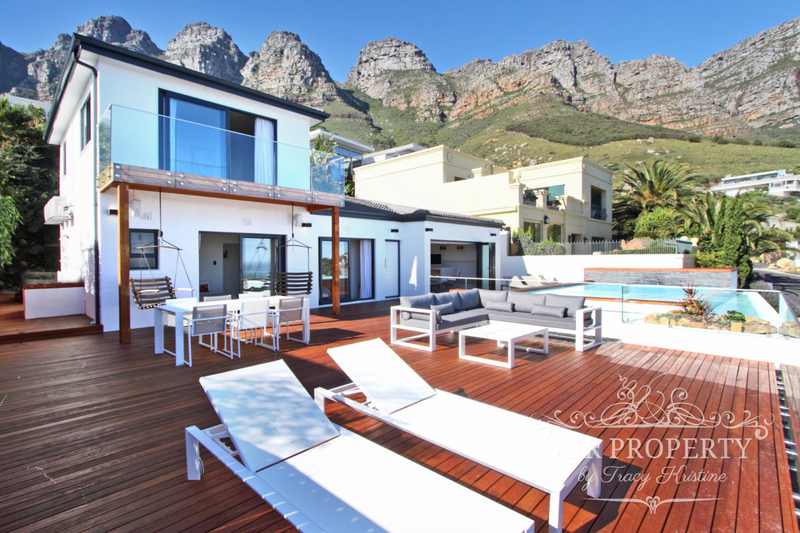 The outdoor area has a large private deck that is ideal for those that love entertaining. 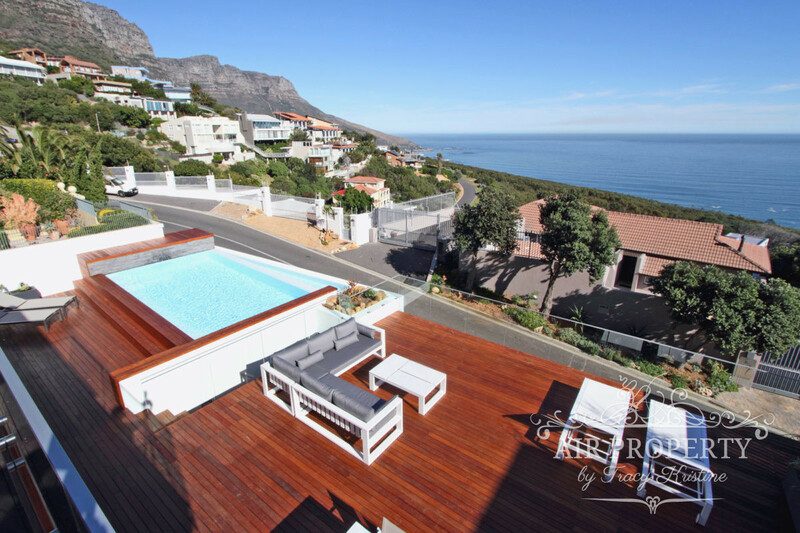 An elevated pool on the deck enables one to enjoy the surrounding sea and mountain views. 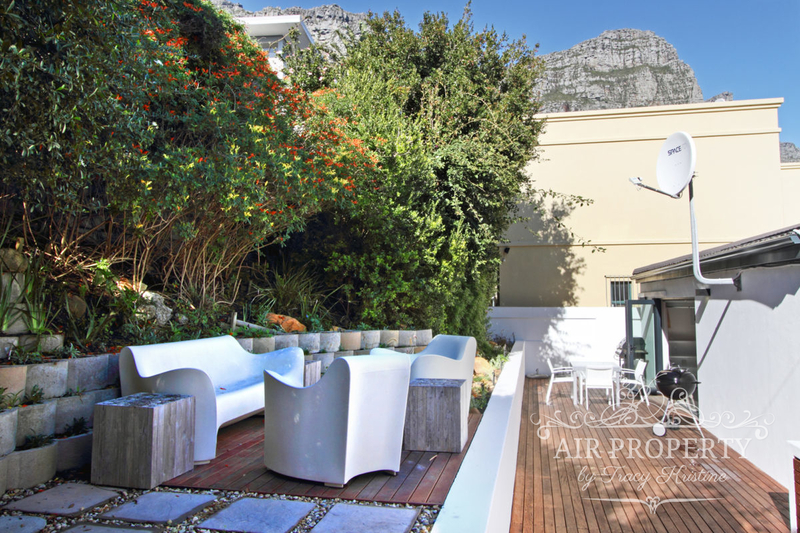 At the back of the property you can relax in the garden setting with a small lounge area. 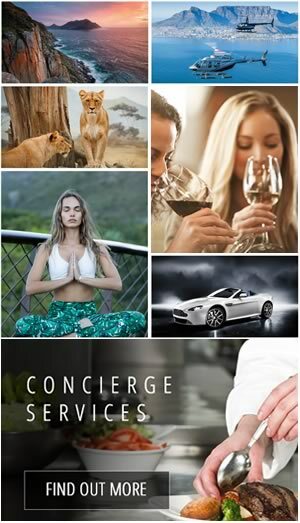 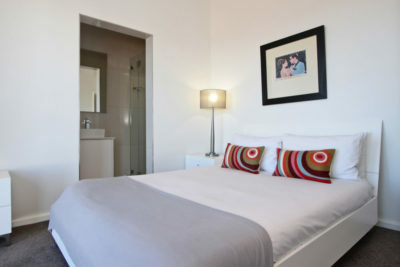 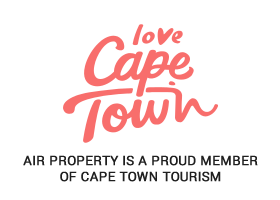 White Crown is in a great location and close to all the attractions and amenities Cape Town has to offer.